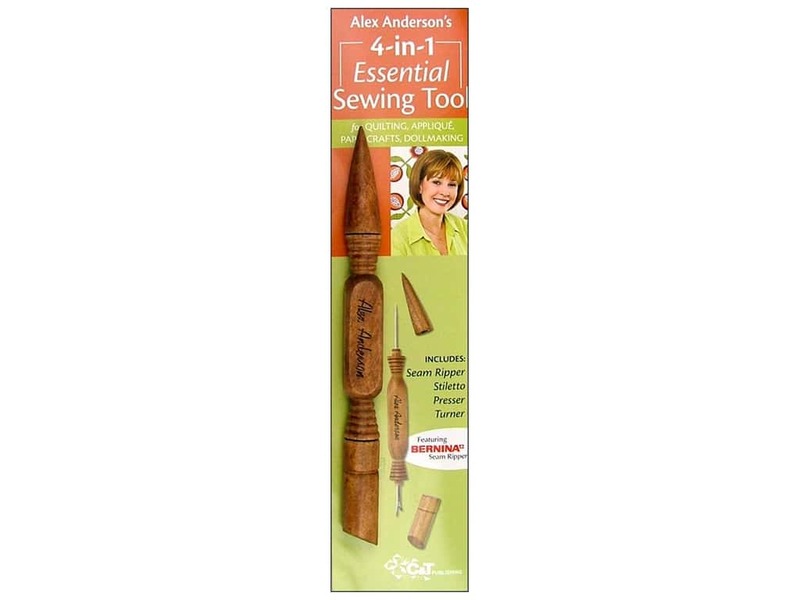 Description: Alex Anderson's 4-in-1 Essential Sewing Tool has a flat-ended presser for finger pressing, folding and burnishing; a super-sharp Bernina seam ripper; a pointed wood end for turning bias tubes, creating perfect corners and stuffing doll parts; and an extra-long stiletto to protect fingers while pressing and machine piecing. Measures approximately 8 inch long with a wood handle. See more C&T Publishing Notions.